1The equipment is fully automatic equipment, instead of manual coating,easy to operate(If needed, we would send you operation VCR for your reference) high output, uniform mixing, made of stainless steel. It is the effect of mixing all kinds of raw materials and materials up and down to achieve complete mixing. A large amount of raw materials are evenly mixed in a short time. 2.The structure is simple and practical, easy to clean and disinfect. 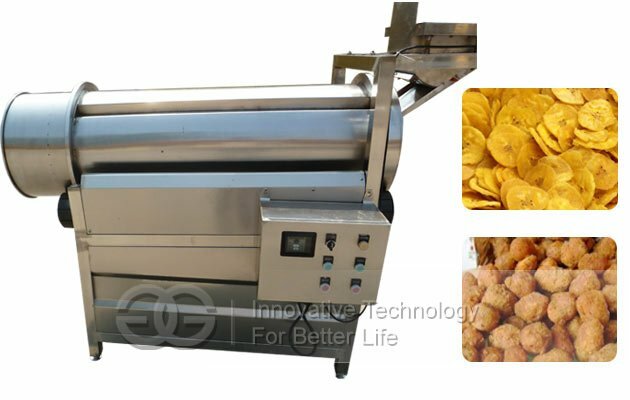 3.The food seasoning machine is used for stirring and seasoning various puffed foods, fried foods, potato chips, potato chips, beans, nuts, crispy, etc., made of Chen/sweet/spicy, bright colors, and the like. 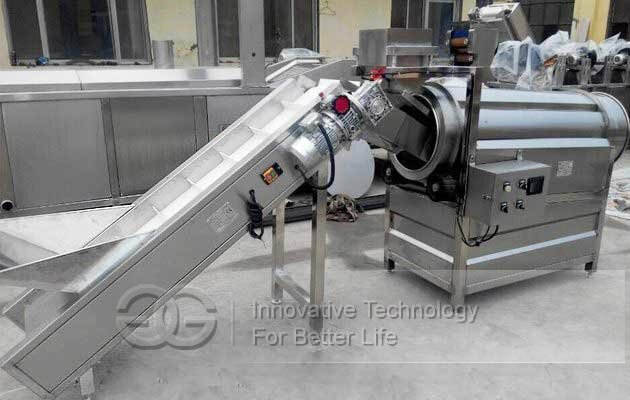 4.It is the most advanced food seasoning equipment in the whole world. 1.Equipment connected to power,powder loading powder inside. 2.Start the drum seasoning machine motor, so that the normal operation of the drum, turning in the right direction. 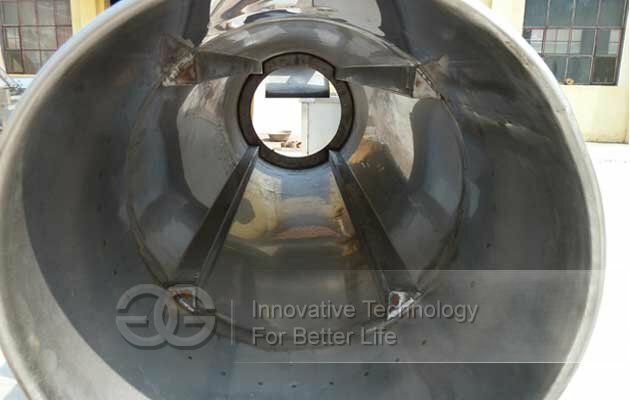 3.Raw material conveying in the drum, start dusting motor, adjust speed of dusting. 4.Watch the raw material mix with seasoning powder, can be appropriately adjust the Angle of rolle. 5.Check the operation parts to determine the normal operation can work. 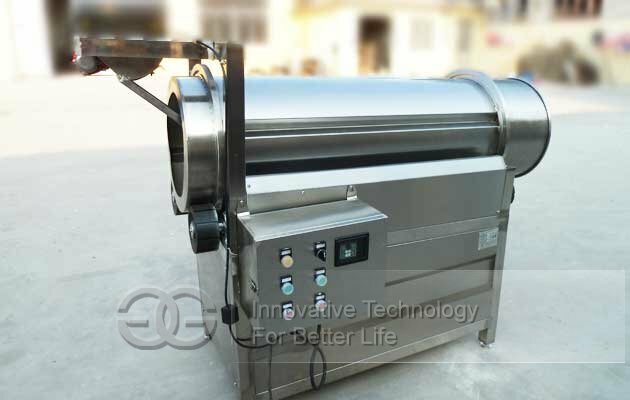 1.Continuous seasoning machines are used for food seasoning in food production. 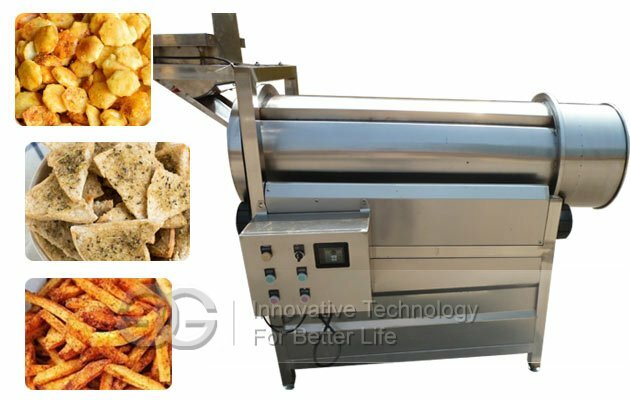 2.The machine is equipped with a tilting seasoning roller for full control of speed and material capacity for continuous seasoning. Uniform and accurate. 3.This product is highly automated. 1.Electric control, adjustable speed: clockwise and counterclockwise rotation. 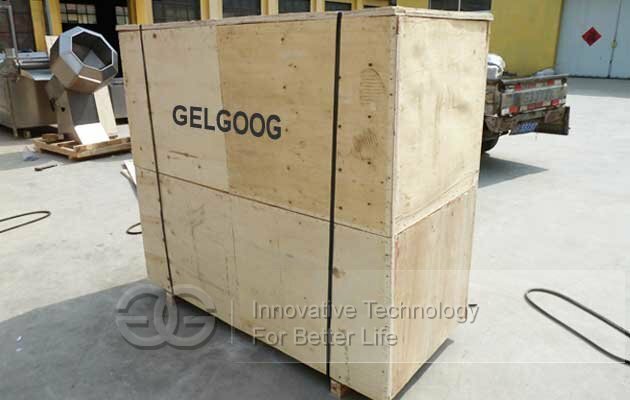 2.High quality and capacity: stable rotation and low noise. 3.Reasonable design: the drum adopts a double-layer structure, which is designed by electric heating hot air, the drum can blow hot air, and the slurry tank is insulated. 4.Temperature is adjustable: easy to operate and easy to maintain. 5.The rotating drum is fully formed without dead angle. 6.Average spray: the fuel injector can adjust the amount of oil.The rotary tumbler is fully formed without dead ends and has a high sanitary environment. 7.Oil quantity is adjustable: the spray is even, the imported fuel nozzle is used, and the electric heating tank is equipped with pump to transfer oil.